Erected on April Fool’s Day 2008 outside the US 66 Outpost and General Store. September, 2008, the Guinness Book of World Records awarded Dan and Carolyn Sanazaro’s 42’1″ steel rocker the designation World’s Largest Rocking Chair. It’s built of black steel pipe and was lifted into place by two cranes. 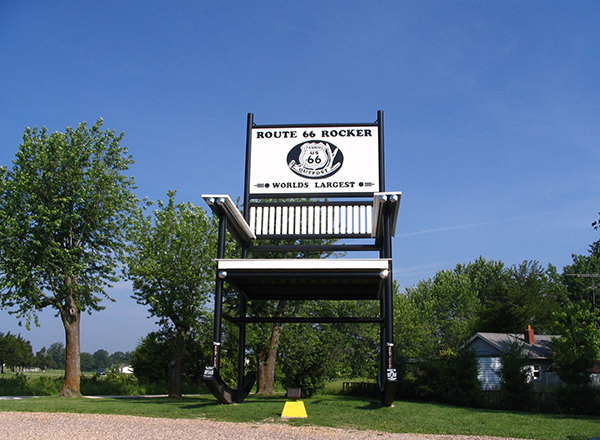 The Guiness Certified World’s Largest Rocker is named “The Route 66 Rocker”.